Summer is winding down a bit and we've collected a few special treasures along our travels. We know just what to do with them. 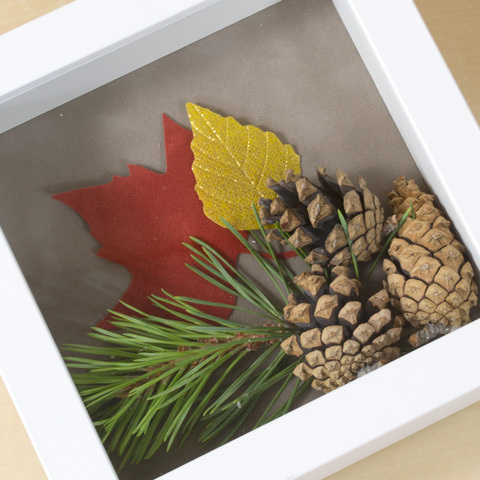 Make a shadow box! 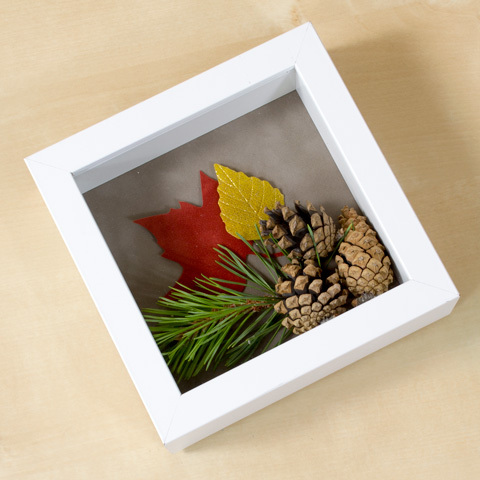 Shadow boxes are perfect for holding your favorite souvenirs, like pinecones, leaves, rocks, tickets, etc. They are also really easy to put together. Just line the back with some velvet paper and add your memorabilia. Done! Awesome. I really like it!